After undergoing surgery, or recovering from an injury, patients may be prescribed a stay at a rehabilitation hospital so that their recovery can be supervised, and their medical needs attended to. You trust that these types of facilities are staffed with competent, well-trained people who have the patients’ needs in mind. Sometimes, however, this is not the case and patients suffer serious injury in rehab facilities. 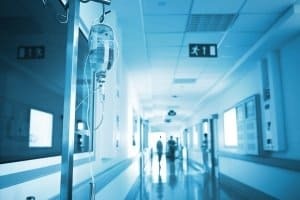 A report published by the Department of Health and Human Services Office of the Inspector General (OIG) reveals an estimated 29% of Medicare beneficiaries experienced adverse or temporary harm events during their stay in a rehab hospital. These harms resulted in prolonged stays or transfers to other hospitals, permanent harm, life-sustaining intervention, and/or death. The physicians who reviewed the data determined that these adverse or temporary harm events were clearly or likely preventable. Physicians attributed much of the preventable harm to substandard treatment, inadequate patient monitoring and failure to provide needed treatment. The OIG recommended that the Agency for Healthcare Research and Quality (AHRQ) and the Centers for Medicare and Medicaid Services (CMS) raise awareness about patient safety issues in rehab hospitals and to look for ways to reduce patient harm. For the OIG’s oversight study of adverse events in rehabilitation hospitals, researchers identified harm by reviewing the medical records of 417 randomly selected Medicare patients who stayed at U.S. rehabilitation hospitals in 2012. The identified harms of varied severity from a temporary injury to injuries that caused permanent disability or death. This study only included Medicare patients, but the results can likely be attributed to the experience of other patients who are not covered by Medicare. Not all rehabilitation facilities are equal. There are several facilities in the West Virginia and Washington, D.C. area that care for patients following surgery or while a serious injury heals. You can visit the non-profit health care advocate Hospital Safety Grade and type in the name of the facility you are considering to get an idea of their safety rating. If you are a Medicare customer, you can visit the CMS Hospital Compare website to compare facilities based on a star rating system. Whether you were injured in a hospital or a rehabilitation facility, to have a viable medical malpractice claim you must be able to prove that the medical professional’s breach of the accepted standard of care (negligence) was the direct cause of your injury. Proving medical negligence can be complicated. 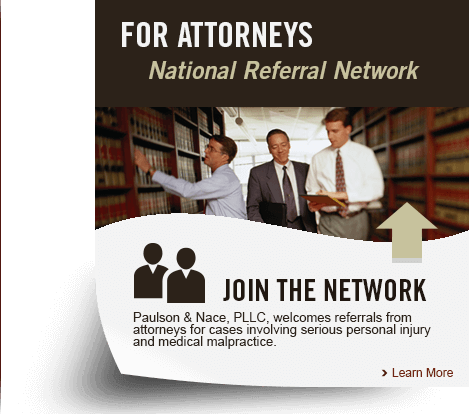 It requires the expertise of a skilled medical malpractice attorney to develop the evidence and prove the cause of your injury.